Following numerous neurodegenerative disease clinical failures, the neurodegenerative disease field requires a refreshed approach towards drug development to drive clinical success. 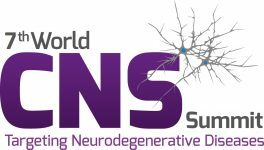 In February 2019, this year, the 7th World CNS Summit challenged traditional thinking to guide drug development of efficacious treatments for neurodegeneration. Developed with experts from Eisai, Sanofi, Novartis and others, was an outstanding industry-specific conference focused on solving the translational challenges of neurodegenerative research. Bringing together over 150+ leading minds in the neurodegenerative space, from academia, pharma, biotech and leading consortia, the meeting proved to be a unique opportunity to bridge the gap of translational drug development with great discussions, panel sessions and networking. "I was impressed by many of the speakers and learnt a significant amount, which I was able to bring back to our discovery team." "A great meeting. The networking opportunities were fantastic."